Alliance Interiors has a straightforward mission: to create “business environments that make sense.” What does that mean? We know that office layouts and furniture can have a huge impact on employee productivity, cooperation, and morale—in short, your office design has an impact on how well your business does. A well-designed office can help you recruit top employees, promote a creative and energetic work environment, and encourage less employee absenteeism. The right office furniture can even improve employee health—ergonomic chairs can be adjusted to each employee so that they don’t experience back pain after sitting for hours. Knowing all this, it makes a lot of sense to all of us at Alliance Interiors to design and furnish business offices with an eye to improving the work environment and each business’s bottom line. 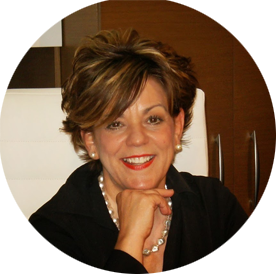 Alliance Interiors president Lynne Lemieux started our company because she’s passionate about value-added interior design and wanted to share her expertise with businesses of all sizes. We’ve now grown to be a full service office furniture dealer as well as an interior design firm. Based in Sutton, West Ontario, we always enjoy working with local businesses, but we’re also happy to consult with businesses outside of our immediate geographic area. When you decide to work with Alliance Interiors, we’ll set up an initial meeting with you so that we can discuss what you’ve envisioned for your office. We’ll have plenty of thoughts and recommendations for you once we learn about your current setup and your goals for the new design, but we also want to make sure that your own ideas are heard. This is your office, after all, and you want to make sure that the space where you spend your work week is comfortable for you and matches your own personal style. During our meeting, we’ll also talk to you about your budget so that we can make sure you get a great-looking space at a price that you can afford. We’ll also talk to you about how best to implement the changes without disrupting your business, whether that means planning a complete overhaul in a specific time period or updating sections of your office one by one. Of course, our work isn’t just done once we help you come up with a design plan. If your project requires any construction, we’ll produce construction drawings and send them to sub trades, who we’ll direct through the whole process to ensure a high standard of work. These brands offer ergonomic, environmentally-friendly, and visually appealing furniture to fit the needs of any office. We’ll help you decide what furniture is best for your particular situation and will make sure that you get that new furniture promptly. While Alliance Interiors has helped large corporations redesign and maximize their offices, we also work with small businesses and can even help individuals set up a home office. With telecommuting becoming a more and more common phenomenon, we recognize the importance of having a space in your home that is free of distractions and dedicated to work. We also know that each individual has different needs for their home office space, and we’ll pay close attention to your specific requirements when helping you. We’ll help you find the ergonomic chair that’s going to be the most comfortable for you, and we’ll also procure the furniture you need to stay organized and distraction-free. Usually when you hire an interior design firm, you’ll end up having to hire a separate moving company (or recruit able-bodied employees) to get all your new furniture to its new home. However, in addition to offering design and furniture procurement services, Alliance also provides cost-effective corporate office moving. Whether you’re downsizing or expanding, moving down the hall or across the city, we’ll be on hand to make sure there are no headaches or miscommunication. We have move management experts who can help you coordinate and move your furniture to ensure that the transition is as smooth as possible, so that you can get back to the work that matters most to you. More and more businesses are beginning to realize the importance of being environmentally-friendly. Green practices can actually save companies money, help keep employees healthy, and encourage environmentally-conscious consumers and clients to choose their products. And, of course, the most important reason to adopt sustainable practices is to ensure that future generations are able to enjoy the environment as well. At Alliance Interiors, we understand the importance of using environmentally-friendly materials in your new office. That’s why we only work with furniture brands who create eco-friendly and sustainable products. Our brands are conscious of the materials they use, but they also don’t sacrifice quality in design. With our recommendations, you can be sure that you’ll get the chairs, desks, and other pieces of office furniture you need to keep your employees comfortable, encourage productivity, and make sure that your physical space looks fantastic. While we could say more about our philosophy and our services, the best way you can learn more about us is to contact us directly. Call us at 905-722-9146, email lynne@allianceinteriors.ca, or simply fill out a short online contact form. Feel free to contact us for more information or just to say hello. You don’t have to immediately commit to hiring us, but we hope that our experience and eye for value-added design will encourage you to partner with us in the near future. Don’t let a less-than-ideal workspace hold you back: work with Alliance Interiors to bring your office up to its full potential. Alliance Interiors Inc. is a full service office furniture dealer who listens to what their clients need. Our Mission is to create “Business Environments that Make Sense”. 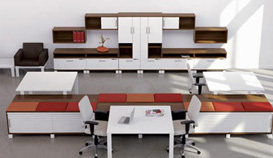 We offer quality solutions oriented and flexible office furniture products that suit your budget and goals. We also offer value added office and business interior design services. Alliance Interiors Inc. is committed to helping our clients produce business results that add to their bottom line. Setting up an office for your business can certainly have it’s challenges and at Alliance Interiors we understand what it takes to get the job done right. We start with learning what your business goals are so that we can make the proper recommendations. We listen first, then establish a plan that will work for you. It may be one office area at a time or a complete overhaul of your offices. We know that it takes time to establish goals and to set budgets. Every business if different and we recognize that change is a constant. 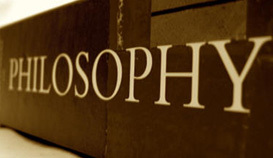 By helping you to make wise decisions upfront that you are comfortable with, we can help you grow for years to come.